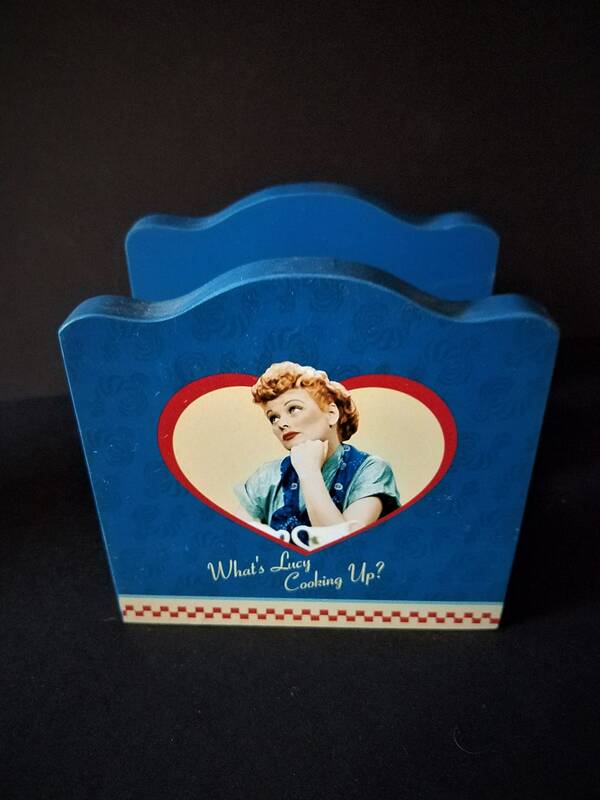 This is an unusual piece in the Lucy line, it is a napkin holder from the early 90s. 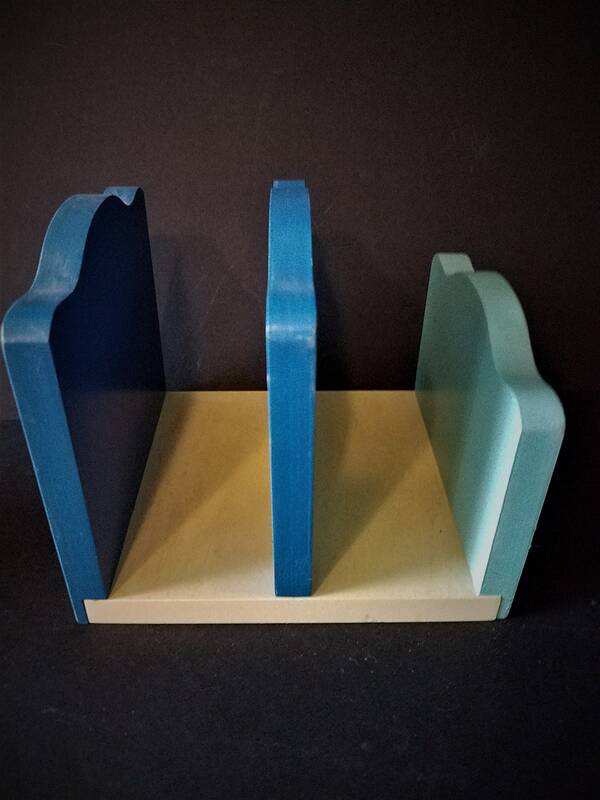 It has 2 blue sides and a turquoise side and sits on a yellow base. 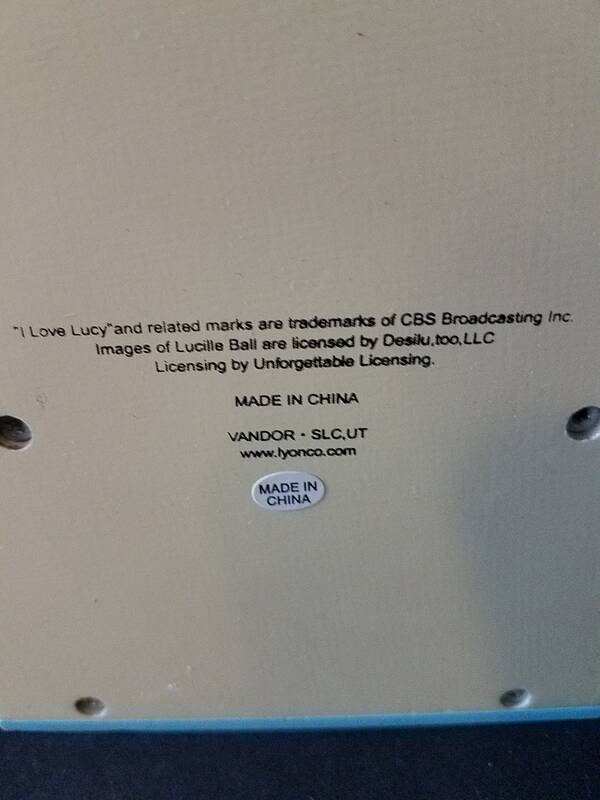 One side says "What's Lucy Cooking Up?" 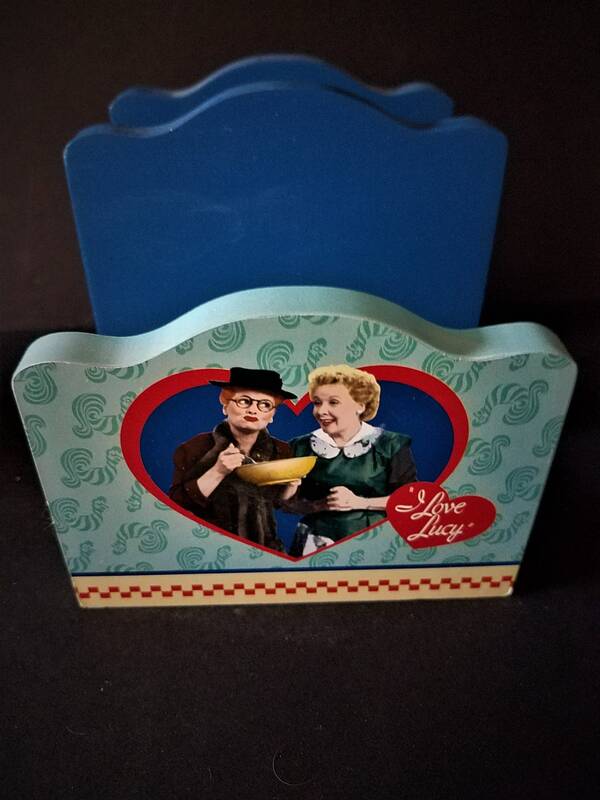 and the other has her and Ethel with the I love Lucy logo. It has a red and white check strip on the bottom. It is 5.75" long, 5" wide and is 5" tall at the tallest part, the back. It is made out of wood, was made in China and is an authorized piece. You could also use it as a mail sorter!